Sunday is the day of the week when most people like to relax, and with plenty of NBA games taking place today, you will have the chance to do so in some style. 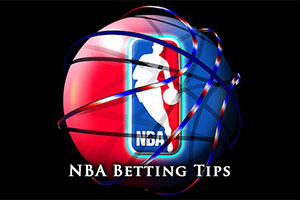 You will also have the chance to place a number of basketball bets on Sunday. There were plenty of games taking place in the NBA on Saturday and the Warriors were convincing winners in Dallas, clinching a 98-105 victory. The Magic narrowly squeezed by the Hawks 100-99 and the Grizzlies were eventual winners in Philadelphia, defeating the 76ers by a score of 115-120. The Rockets held firm against the Nuggets, winning 108-96. The Hornets suffered a big home loss to the Nets, 87-114. The Pacers also lost at home, the Trail Blazers taking the spoils with an 85-95 win. The Bucks had a big home win, defeating the Clippers by a score of 111-106 and the Kings lost out at home, the Pistons triumphing 90-95. 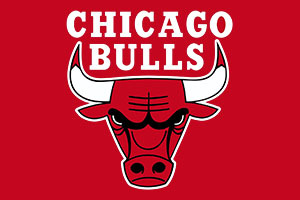 The Bulls hold a 14-8 record with a 10-3 record away from Chicago and they will be looking to build on this in Miami. The Heat have a somewhat mixed 11/12 record, which includes a 4-6 record at home. With respect to the form guide, both teams are coming into this game on the back of a win, with the Bulls on a winning streak of 2 and the Heat standing at 1. From the last five games, the Bulls have a 3-2 record and the Heat holds a 2-3 record. Derrick Rose is continuing to return strongly for the Bulls and on Friday night, he delivered 31 points in just over half an hour in the 115-106 win against Portland. The Friday night win for the Heat in Utah, with a score of 100-95, was assisted by 29 points from Dwyane Wade, all the more impressive since the player complained of feeling ill a few hours before kick-off. Both teams have a number of injury concerns to worry about. The Bulls are keeping a close eye on Joakim Noah, Pau Gasol, Tony Snell and Doug McDermott in the build up to this game. The Heat have a big doubt over Chris Andersen and they are monitoring the fitness of Dwyane Wade on a daily basis. This game could go either way but taking the Bulls with a handicap of -3.5 at odds of 1.90 isn’t a bad bet at all. Bet Now! The Jazz hold a 6-17 record, with a 2-8 record away from home, while the Wizards have a much more impressive 16-6 record, with an 11-2 record at home. 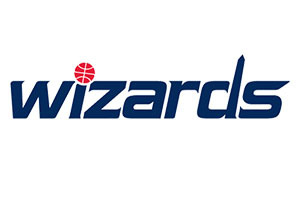 The Jazz lost their last game while the Wizards are on a winning streak of 3. There is a big contrast in fortunes for the team’s last five games, the Jazz hold a 1-4 record while the Wizards hold a 4-1 record. John Wall is in a great run of form for the Wizards, even outshining Chris Paul, and he was a key man in the 104-96 triumph against the Clippers on Friday. Wall managed to deliver 19 points and 11 assists, while he was also a crucial presence in defence at times. Paul offered up 10 points and 6 assists, although he did provide 6 turnovers as well. The Jazz stopped a 9 game losing run with a Tuesday win against the Spurs but were unable to build any momentum, losing 100-95 at home to the Heat on Friday. Nene Hilario is a slight concern for the Wizards while the Jazz have an issue with Derrick Favors. While all of the focus is falling on the Wizards for this game, taking the Jazz with a +11 handicap, and odds of 1.90, may bring you some cheer on Sunday. Bet Now! The Raptors currently hold an impressive 17-6 record, with a 6-3 record away from home, while the Knicks are 5-20 at home, with 3-9 at home. Both teams won their last game, so one streak will continue while another stops short after this game. Toronto holds a 3-2 record in their last 5 games, while the Knicks hold a 1-4 record. The Knicks brought their biggest losing streak since 2005/06 to a close with a 95-101 win in Boston on Friday night, a win that saw Carmelo Anthony return to the line-up after being rested against San Antonio on Wednesday night. The game brought up a fresh injury worry for the Knicks, with Iman Shumpert dropping out in the second quarter with a suspected dislocated shoulder. On Friday night, the Raptors were taking care of the Pacers at home, winning by a score of 106-94, and while the Raptors haven’t been as dominant of late as they have been this campaign, they are still able to put away the lesser performing teams with confidence. Greivis Vaquez is a doubt for the Raptors while the Knicks have major concerns over Carmelo Anthony, Iman Shumpert and JR Smith. Taking the Raptors with a handicap of -6, at odds of 1.90, is likely to give you a strong interest in this game. Bet Now!